Translated from "Carl Henrik Gyllenhaal" by Olle Franzén, in Svenskt Biografiskt Lexikon, ed. Erik Grill, (Stockholm: 1968). Translator: Olle Gyllenhaal. Gyllenhaal, Carl Henrik, born August 11, 1788 at Sotlanda, Lena parish (Älvsborg County), died November 12, 1857 at Beylon, Solna parish. Parents: colonel Carl Jonas Gyllenhaal and Florentina Strömbom. Volunteer at the Västgötadals regiment 1789, sergeant at the Bohusläns regiment May 27, 1801, ensign April 16, 1805, lieutenant at the Jämtlands hästjägar regiment [mounted chasseur] January 18, 1808 - February 26, 1811, took part in the parliaments 1809 - 12 and from 1817 onwards, cavalry captain in the army May 1, 1810, captain at the Värmland Rifles regiment Mars 24, 1812, kompanichef [captain] February 12, 1813, major in the General staff October 17, 1815, adjutant to the Crown Prince August 1, 1816, colonel-lieutenant in the army May 11, 1818, colonel in the army December 1, 1818, colonel of the Jämtland Rifles regiment December 18, 1821 - March 9, 1824, lord of the bedchamber to the King 1822, Deputy County Governor of Blekinge County April 17, 1828, County Governor October 22, 1828, Deputy County Governor of Skaraborg County June 29, 1831, County Governor January 20, 1832, cabinet minister June 9 1837 - 1840, Baron November 10, 1837, governor at the Ulriksdal and Haga lustslott [summerpalaces] February 1, 1840, Director General of the Customs March 28, 1840 - October 14, 1856. Married 1) March 7, 1814 at Tidaholm, Agnetorp parish (Skaraborg County) with Baroness Hedvig Charlotta Rudbeck, born July 26, 1789 at Margreteholm, Sandhem parish (Skaraborg County), died August 19, 1826 in Sollentuna (Stockholm County), daughter of the Lord of the King's bedchamber, Baron Per Alexander Rudbeck and Baroness Anna Elisabet von Axelson; 2) May 26, 1829 in Stockholm (Klara parish) with Beata Aurora af Nordin, born Jan 7, 1803 in Falun, died Dec 10, 1884 in Stockholm (Klara parish), daughter of County Governor Baron Johan Magnus af Nordin and Beata Charlotta Rosenborg. Malla Silfverstolpe describes the young Gyllenhaal as a clumsy, obese and rude boy, with a passion for cards. Many hard judgements have been said about him, but nobody has questioned his charming manners and brilliant social talents. The passion for cards appears to have followed him and can, together with expensive habits, explain his sometimes troublesome financial situation. 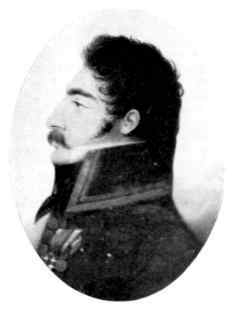 In 1807 Gyllenhaal was commanded to the campaign in Pommerania. The following year he took part in the campaign against Norway and then he followed Döbeln against the Russians in Finland. At Lemo and Oravais he showed hardiness and good leadership and was given a gold medal for bravery in action. Gyllenhaal spent some years abroad after the war. In 1810 in Berlin he met the now exiled Gustaf IV Adolf, and was given letters to the Gustavian (party) in Sweden in confidence, but he gave those to the Swedish government. It is said that he then had some years of military service in Spain and Prussia, but turned back home when Napoleon occupied Swedish Pommerania in 1812. He took part in the campaign against Norway and was severely injured in the engagement at Rakkestad in 1814. After having been noticed by the successor to the throne, he entered court service and gained to a high degree the appreciation and confidence of Karl Johan. During the 1820s he became one of the King's confidants and was trusted with delicate tasks of a political and economic nature. 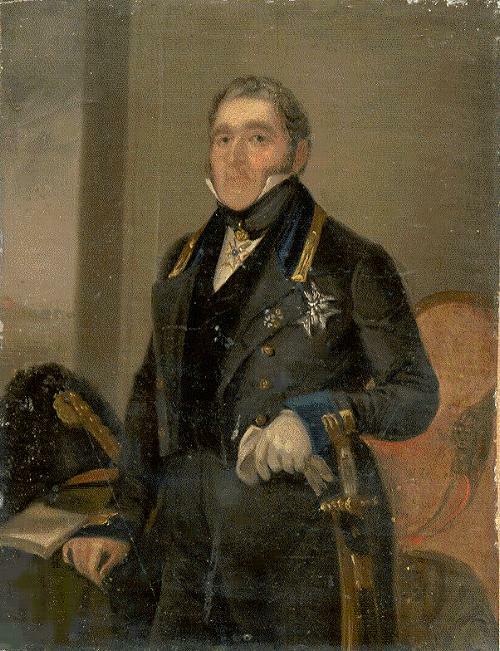 He was thus the intermediary when Hans Järta was offered to become cabinet minister in 1829, and, after having become accustomed to the eruptions of Karl Johan at economic defeats, he was promoted to a leading position in the King's administration of properties. In this position, and later as director general, he traveled more than most and became known from Skåne in the south to Västerbotten in the north. Karl Johan appointed military men as County Governors, since he considered the most important duty to be the maintenance of order. The civil tasks could preferably be left to subordinate civil servants, which Gyllenhaal also did as County Governor. Furthermore, when traveling during long periods for the King, he had little importance in the counties he was placed to govern. He took the initiative to form a temperance order in Karlskrona, one of the first in Sweden (Blekinge County). Secretary of state Ulfsparre, who otherwise was one of Gyllenhaal's strongest opponents, considers that as County Governor in Mariestad (Skaraborg County) he had shown marked thrift and activity. Other sources say that there were scandalous conditions during his time at Skaraborg County, e.g. disorder among files and the treasurer's funds. It should be mentioned that the county had recently had 5 severe years with failures of the crops during the decade before Gyllenhaal took up his appointment in 1831. He was praised in public for the courage he showed "by taking over the governance of a county whose suppressed position was widely known." From Gyllenhaal's time as chairman of the board of the Gota Canal Company there are no positive reports. He was, according to C. W. Lilljecrona, unaware of most of the things concerning the company and depended fully on Möller, his confidant, the chief secretary to the provincial government. Gyllenhaal's merits as a civil servant and his experience from parliamentary work were considered meager when he was called to the Cabinet, but nobody doubted his loyalty to the King. In the opposition newspapers he was called an ignorant "Mr. Yes." Dardel cites as typical of Gyllenhaal's flexibility the following gossip from the Cabinet: "Sirs, the only law that I know of is my King's will." The protocols from the Cabinet, however, show that as secretary of state Gyllenhaal several times defended views that were opposite those of the King's. By the progress of the opposition in 1840 he realized that he had to leave, but before that he arranged for the director general of the Customs, Posse, to be his successor. Consequently he got his lucrative office as a retreat. Gyllenhaal was attached to the court, since Karl Johan appointed him as Governor at Ulriksdal and Haga. As official residence he received the beautiful Beylon near Ulriksdal. Gyllenhaal and several of his peers were brought to impeachment for certain decisions and procedures, but they were acquitted after tough proceedings. Even after Gyllenhaal's retirement it appears that Karl Johan appreciated his advice, and also gave him tasks that needed discretion. Even now he was the intermediary for the King's discrete search for suitable counselors. Gyllenhaal's interest in the royal conservative press surely had royal patronage. 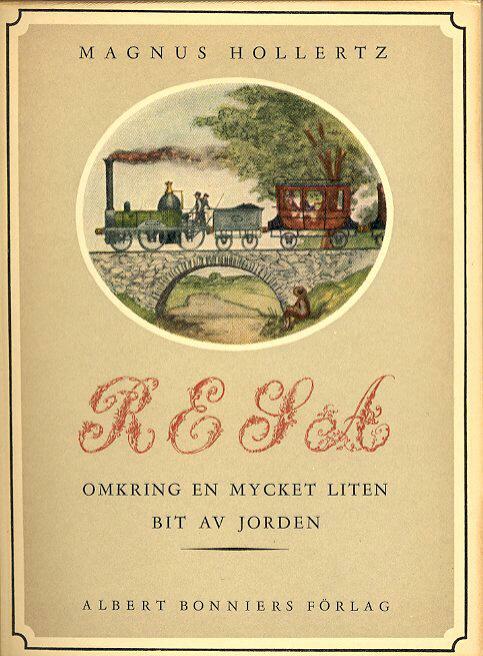 He belonged to the founders of "Svenska Biet" (The Swedish Bee) and "Morgonen" (The Morning), supported them, and acquired subscribers. From letters it is evident that he demanded that civil servants promoted within the Customs should share his interest in this. King Oscar I seems to have had the same trust in Gyllenhaal as his father. Gyllenhaal was used for the King's secret diplomacy around Scandinavism and the November tract. To what extent this was the case is difficult to know, since Gyllenhaal appears to have destroyed with thoroughness the letters concerning this side of his business. Gyllenhaal has been severely criticized in letters and memoirs. He appears under nicknames such as "The lion of Gota," "The Devil of the Customs" and "Bustler Busybody," and is frequently criticized for his repeated visits to the antechamber of the royal palace. Crusenstolpe writes, "Next before the office room, and second after the roads of the country, there is no place on the globe with more founded pretensions to brag over this Baron's personal presence." A couple of years after Gyllenhaal's death, Biographiskt Lexicon sums up: "Rarely has a high civil servant had such bad words said about him as the Director General of the Customs Gyllenhaal." These bad words came also from those of the same political opinion and relatives. A contribution to this was perhaps that, during the middle of the 19th century, when there were disputes about the Customs, he openly supported more liberal trade, against the majority of the conservatives, with the explanation that the many prohibitions had a demoralizing effect and taught the Swedes to commit perjury and other crimes. His first period as head of the Customs (Department) was prosperous. He carried through reforms in conformity with the times that were appreciated even by Crusenstolpe. But soon there was talk about his openness to bribes in connection with appointments, his peculiar way of using the Customs fund for extraordinary expenses, and his accounts for travelling expenses. During the parliament of 1854 his promotion and administrative system were the subject of a well-prepared attack from the liberal wing of the clerical state. The King reacted slowly, but when he wanted to rearrange his Cabinet in 1856 in a liberal direction, J. A. Gripenberg demanded the elimination of Gyllenhaal as a condition for him to accept the post as Lord of the Exchequer. King Oscar I then gave in and Gyllenhaal was granted dismissal the same day as the opening of the parliament of 1856. He remained, however, as Governor of the palaces (mentioned above). As such he angered the general public through certain changes in the Park of Haga and by excluding Beylon, which had been a popular destination for excursions. Later, when Ulriksdal became a summer residence for the future Karl XV, Gyllenhaal got the opportunity to make himself useful to a third generation of Bernadottes. He was interested in music and tried when possible to help young musicians such as, e.g., Adolf Lindblad. Fritz von Dardel describes Gyllenhaal as a reckless old roué without scruples. At this time, when he became "Grand Maitre of the order of Amaranth," Crusenstolpe is enraged and says that Gyllenhaal's greatness was only in his corporal size. One of his subordinates (accountant Magnus Hollertz) gives a different picture of his boss: "It is for sure, that he has the best heart, the most happy mind, perhaps a somewhat too French liveliness, and familiarity with good society, which either shows in an exhilarating contempt, or in an almost royal, but never hautain dignity. At present he is 68 years old, but strong as a man of 30 years age, agile as a voltigeur and elastic as a young lieutenant." Gyllenhaal died in the aftermath of cholera at Beylon, to which he moved after his resignation from the Customs Department. Earlier he had shown an extensive and costly hospitality in a 17-room apartment at Holländargatan.